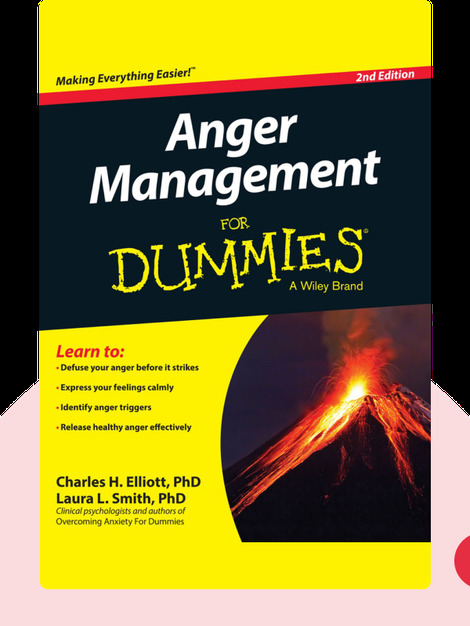 Anger Management for Dummies by Charles H. Elliott, PhD, Laura L.
Anger Management for Dummies (2015) is a guide to dealing with your inner irascibility. These blinks will give you the tools you need to understand and – more importantly – master your anger. You’ll learn methods for dissolving stress, dealing with provocations and even stopping temper tantrums in their tracks. Charles H. Elliott, PhD, is a clinical psychologist, a founding fellow of the Academy of Cognitive Therapy and a professor emeritus at Fielding Graduate University. He specialises in therapy for emotional disorders. Laura L. Smith, PhD, is a school and clinical psychologist, as well as the president of the New Mexico Psychological Association. She has given workshops on cognitive therapy and mental health issues to national and international audiences. Together, she and Charles Elliott have co-authored several books for the Dummies series. 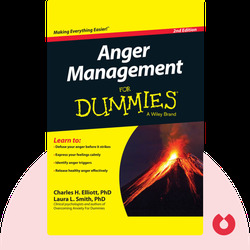 ©Charles H. Elliott, PhD, Laura L. Smith, PhD: Anger Management for Dummies copyright 2015, John Wiley & Sons Inc. Used by permission of John Wiley & Sons Inc. and shall not be made available to any unauthorized third parties.